SPECIAL ORDER! 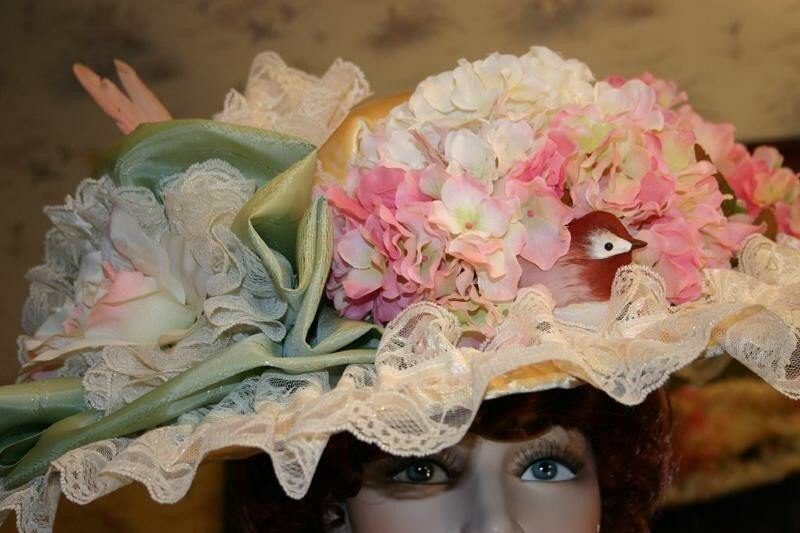 The hat that you're viewing is "Spring Song" and it's a SAMPLE of what I can special design for you...YOU choose your colors and the hat will be similar to the one shown. It will be a mix of vintage and new fabrics, etc. This hat has been totally covered with satin. It's 22 inches in diameter. 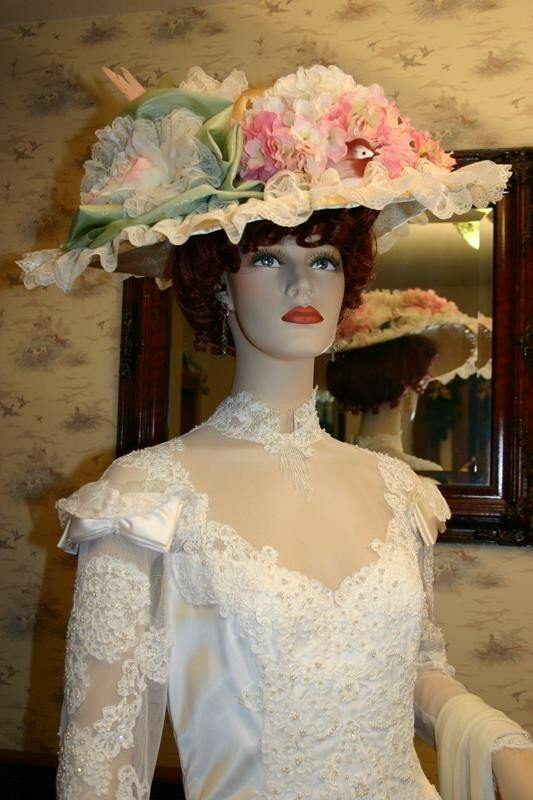 The satin on the top of the brim is from an antique wedding dress and the gorgeous gold satin on the crown and the underside of the brim is vintage satin. This hat is 90% sewn by hand. 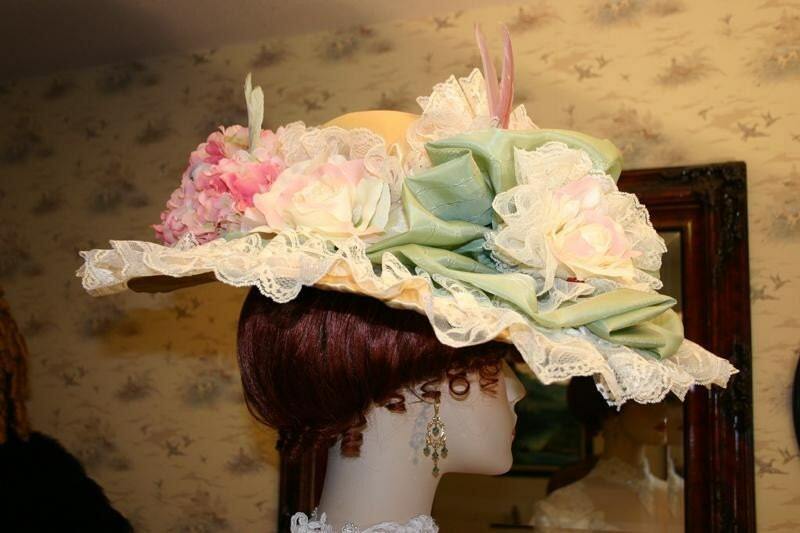 It measures 22 inches across including the lace edge. 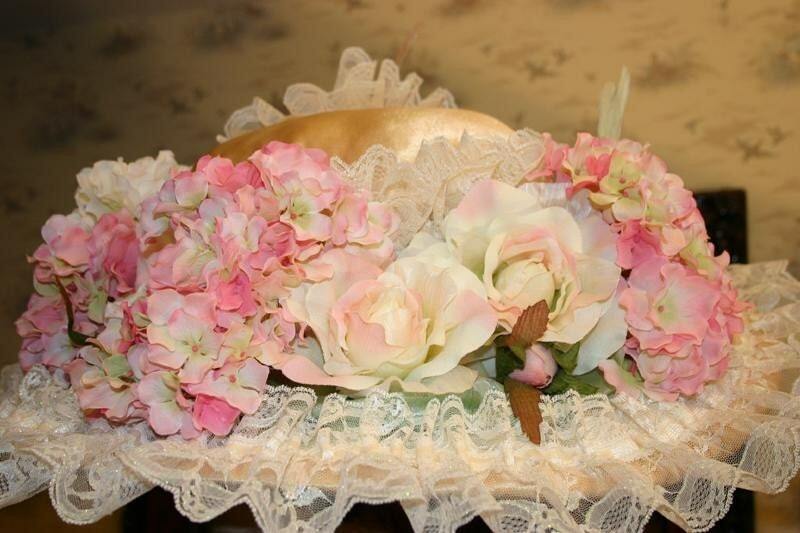 The hat is accented with creamy lace with gold threads. There's lots of hydrangea, as well as gorgeous roses and 3 darling little song birds. 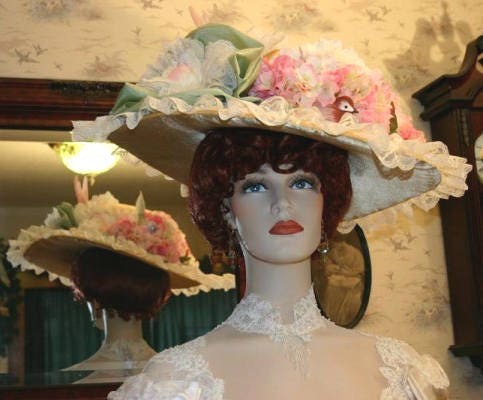 This hat is designed for the Gibson Girl hairstyle, but looks lovely with any hairstyle. It needs to be anchored with a hatpin, so I will include one of my very "sturdy" hat pins in a color that will compliment your hat.